While dairy in Vermont has certainly evolved since its early days of milking pails and butter churns, this 200 year old industry is alive and thriving in every corner of the state. And while the technologies may have changed, many of the family farm values and traditions have endured – like respect for land and animals, commitment to quality, and dedication to family and community. 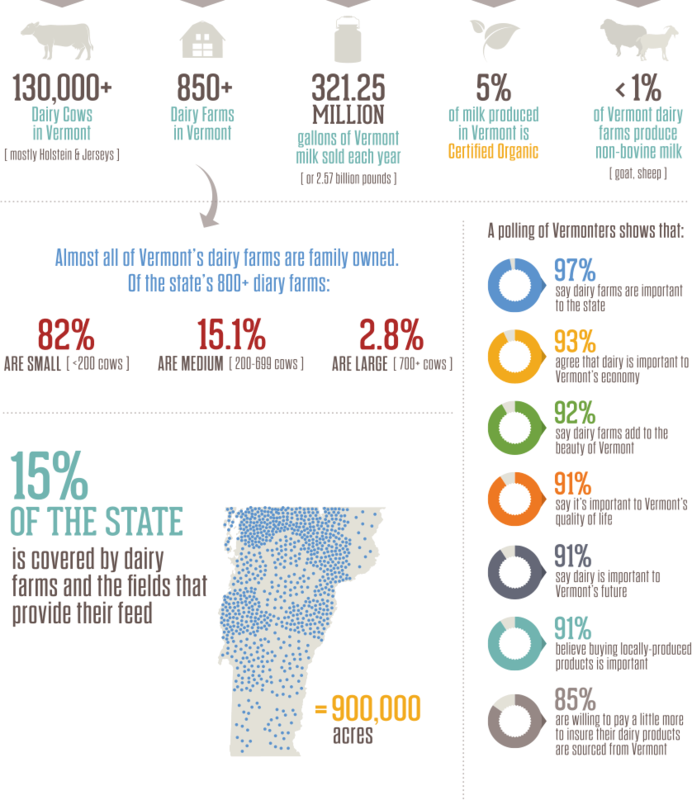 In this section you can learn more about where we’ve been, what Vermont dairy looks like today, and where we’re headed in the future. Each year, Vermont dairy cows supply enough milk to fill 16,000 standard size swimming pools!